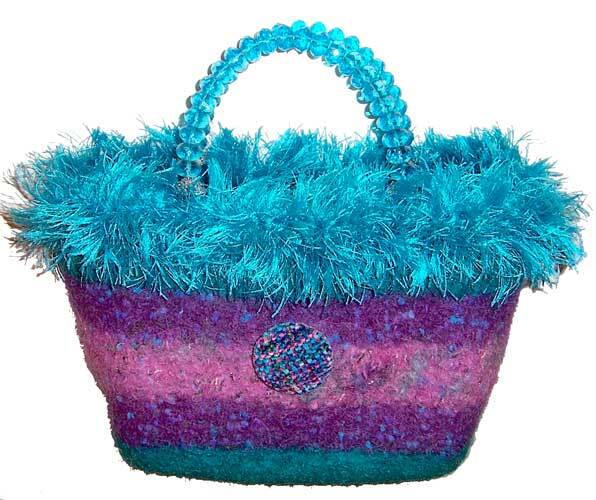 Fun woven button provides the inspiration for this bag of teal, purple, pink and turquoise. Stunning turquoise crystal handles and turquoise fur finish the look. Approximate dimensions are 7 (h) 9 (w) 4 (d).